February and March are such busy quilty months! Check out some upcoming events and add your own in the comments. Every two years, the Nubian Heritage Quilters Guild brings a spectacular assortment of quilts and wall hangings to the Crane House and Historic YWCA. This years exhibit “In the Spirit of Freedom” celebrates the 20th anniversary of the he Nubian Heritage Quilters Guild. 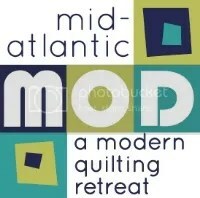 Come view the quilts and watch as they demonstrate hand piecing, machine piecing, rotary cutting and applique techniques. Special Exhibits include: Modern Art Masterpieces, Gee’s Bend Quilts, Prayer Flags, Surprise Art Quilts, Colored Girls Quilts, Dolls, and Pin Cushions. Admission is $5 for adults, $2 for children. Children under 7 are free. Exhibit dates: February 21-22, 1-4 PM and February 28 to March 1, 1-4 PM. March 2 – NJMQG member registration for Heather Jones workshop. Escape from Cabin Fever by joining us for The Quilt Fest of New Jersey at the Garden State Exhibit Center. The Quilt Fest will feature a Merchants Mall offering the best in fabrics, notions, sewing machines, wearable art, embroidery and everything for the quilter and home sewer! Details here. Email Aleeda at acquiltsy at yahoo.com for details and registration. ← Lecture/Workshop announcement: Heather Jones is coming to NJMQG!